Summer is great. We spend our days sprawled out in the sun and our nights staying up past bedtimes to enjoy the good weather and al fresco parties. When September comes around, we have a sort of summer hangover. Skin may be a little burnt, sunscreen might still be lurking behind the ears, and we’re all exhausted from Labor Day parties. Here are some products to soothe the afflictions we face post-summer and get us ready to reboot for fall. Even if you’re waking up on the wrong side of the bed post-Labor Day, you’re still expected to show up bright and shiny at work Tuesday morning. First thing, hop in the shower and scrub down with ESPA’s NEW Energizing Shower Gel. Made especially for morning use, the gentle and effective gel stimulates the body and awakens the mind with zesty aromas from peppermint and eucalyptus. Then apply Guinot’s NEW Masque Dynamisant Anti-Fatigue Face Mask. This instant-radiance mask uses mint and eucalyptus oil to refresh the skin and restore sparkle and vitality while AHA complex eliminates dead skin cells and brings forward new cells to illuminate the complexion. After three minutes, no one will know how late you were out over the weekend! Still look like you just stepped off the beach…not in a good way? Maybe you’re not naturally olive. Instead, in September there are lingering red sunburns and sunscreen residue still hiding out all over. And that beachy hair may work for certain young Gossip Girl stars; your hair just looks frazzled. 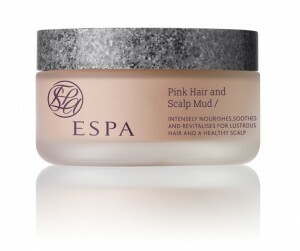 Whip out one of ESPA’s most beloved products, newly reformulated Pink Hair and Scalp Mud. This miracle mud is a serious multitasker. Its main purpose is an intensely nourishing mask for lustrous hair and a healthy scalp. The mineral rich red clays provide a unique conditioning treatment leaving hair silky smooth, while Watercress and Apricot Kernel Oil sooth and nourish the scalp. After slathering beach weathered hair, spread the mud on any areas with a bit of sunburn for a soothing treatment (even better if you pop the mud in the fridge for a few minutes before applying). And if you happen to be out of shaving cream, the mud makes for a wonderful substitute and is even better as it doesn’t dry out the skin. Now, for that pesky sunscreen – Guinot’s NEW Gel Douche Soleil is specially formulated to wash off residues left by sunscreen, so that zinc oxide is history. It also washes off chlorine and salt water deposits and is truly fabulously moisturizing – perfect for skin that’s been swimming or sun bathing. It’s also such a soft, luxurious cleanser, you may find yourself using it long past summer.